This specially formulated styling lotion is designed to thicken and hold all styles. Enjoy an effortless blow dry experience while reducing friction, static and breakages caused by heat styling. High performance resin gel for super strong hold with no stickiness and flaking. Extreme long lasting control for even the most outrageous hair styles. Volumising curl enhancer for shine and definition also revitalises permed or naturally curly hair while eliminating frizz by locking out moisture. Light weight creme designed to add volume, thickness and texture without stickiness. This product does not dry out the hair as some other thickening products can do. Showcase your style with this volumising hairspray for extra firm hold and lasting control. Hair is tamed while leaving it easy to brush out for easy restyling. Versatile hair straightener for a smooth, sleek and shiny finish. Promotes super straight frizz free results on even the most unruly hair and protects against heat damage. 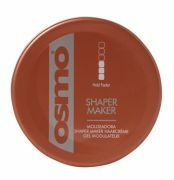 A versatile cream shaper, for moulding, styling and texturising whilst adding shine and control. 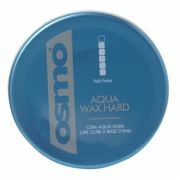 A water soluble hard wax for incredible shine and strong hold. Creates ultimate definition and tames fly away hair. 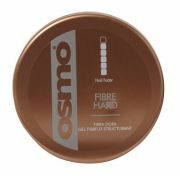 Fibrous hair sculptor for a strong flexible hold and added thickness with a matt finish. 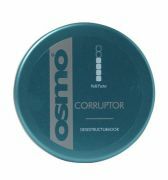 The ultimate corrupting cream for long lasting versatile hold. 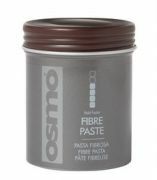 Fibre paste gum texturiser gives volume control with polished shine. Clay based styler for a matt finish. Provides textured control to achieve the ultimate out of bed look. This light weight definer separates and sculpts hair with high voltage shine and mega smooth results. Perfect for taming straight and curly hair, this light weight formula provides fantastic shine and super smooth frizz free results. Great for detangling. Ultra firm fast drying gel spray perfect for root lift, scrunching, texturising a long lasting hold. Water soluble and non sticky. For centuries women in Morocco have used argan oil to treat hair, unlike other hair oils this will penetrate the hair leaving hair non greasy. Armagan has revolutionized this natural antioxidant oil, it will strengthen brittle hair, heal and repair hair damaged by colouring and styling, soothe itchy dry scalp, detangle, soften thick unmanageable hair, protect against UV and heat damage, eliminate frizz and fly away hair, reduce blow drying time by up to 40% and can be applied to dry hair like a serum for softness and added shine. This product can also be used on hair extensions and wigs to rejuvenate and soften without weakening bonds. This heat protector will give protection up to 230 c ( most only protect to 200c ) We suggest using before you blow dry to protect against the heat of your dryer as well as your straightners. Leaves hair silky but non sticky also protects against UV damage from the sun. Specially formulated for over stressed, heat traumatised and chemically treated hair. Deep nourishing to restore the moisture balance and elasticity. Jojoba provides a rich source of vitamins. Heat from the sauna, sun or hairdryer is needed with this product to penetrate deep into the hair. Energises, rebalances and heals damage hair. Infuse hair with anti-oxidants and botanicals. 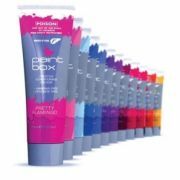 Bright semi-permanent hair dyes that contains no ammonia or peroxide. Infinitely mixable colours that conditions hair as it colours. Lasts 3 - 20 washes. Please note that this product will not lighten the hair only brighten. 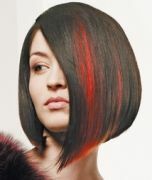 This is an innovative way to add volume and colour to your hair with endless possibilities. The hair is 9cm wide and 30cm long and can be staightened and curled like your own hair. We will cut the hair to match your own if requested. For an Extra �5 it can be bonded in to last up to 4-6 weeks. In 12 different shades. Like certain well known straighteners they are made from Ceramic Tourmaline with a heat up time of 15 seconds to get to 232c but unlike some brands they have a variable temperature (60 - 232c ) which means they are suitable for any hair from fragile to course. These straighteners have a combination of negative ion technology and infrared heat which enables the hair shaft to be straightened from the inside outwards, this seals the cuticle flat, which is the most efficient way to give the hair a healthy shine while rejuvenating colour.